Caroline graduated from University College Dublin in 2001 with an Honours BA Degree in Economics and then went on to obtain a postgraduate qualification in Legal Studies from DIT. She qualified as a Solicitor in early 2006 and became a Partner in the firm in 2008. 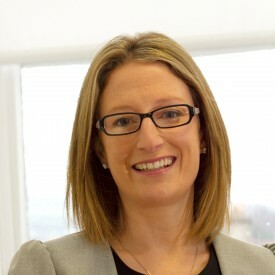 After qualifying Caroline acted in many areas of general practice but soon established an expertise in Conveyancing and Land Law and she now heads up the Residential Conveyancing within the firm. She also acts in the area of Wills, Probate and Administration of Estates. Caroline prides herself in her efficiency and her professional yet personal way in dealing with clients. Caroline is a member of the Wicklow Solicitors Bar Association and the Dublin Solicitors Bar Association.